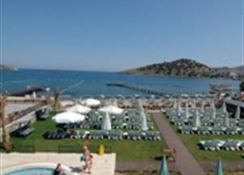 The Club Cactus Feleur Beach Hotel at Located along the Aegean shores,The Club Cactus Feleur Beach Hotelhas a private beach area with free sun loungers and parasols. 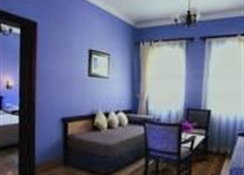 An outdoor pool, Turkish bath and a sauna, plus water sports facilities, are available. Cosy rooms at Cactus Fleur Beach offer air conditioning, TV and a seating area. There is a safety deposit box and a private bathroom with a shower. The hotelâ? 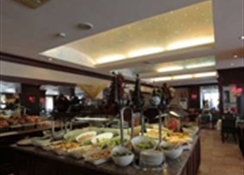 ?s restaurant serves breakfast, lunch and dinner in buffet style with a wide range of choices to choose from. There is also an Ã la carte restaurant situated on the beach. Pool bar is ideal for refreshing drinks. Guests can work out in the fitness centre and relax in the massage room. A tennis court, childrenâ? ?s pool and a playground are provided. The green garden is decorated with many flowers and trees. Milas-Bodrum Airport is 57 km from Cactus Fleur Beach. A shuttle service can be arranged on request at an additional fee. Bodrum city centre is 20 km away.